Many people have heard of shrink bags, but what are they and when are they best used? Shrink bags are common in a large variety of applications including: manufacturing, crafts, printing and publishing, and more. They work great for high and low output operations. In this post we will discuss some different shrink bags and when it may be beneficial to use them. The most common type of shrink bag is a PVC shrink bag. The PVC stands for Poly Vinyl Chloride. PVC shrink wrap rolls, shrink tubing, and bags have played a large roll in the shrink film industry for years. It is a versatile film and offers many benefits. PVC film becomes harder and more crinkly after heat is applied. It works great with high speed machines. PVC shrink wrap also has a low required shrink temperature. It also offers a high shrink rate, in some cases up to 40%. PVC shrink bags are used all over the world for a variety of products. One common and easily identifiable use of PVC shrink bags is on gift baskets. 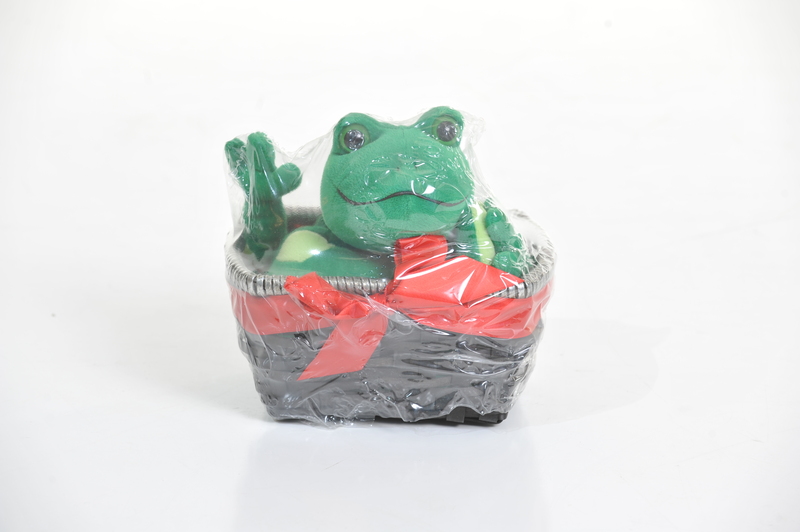 Almost any time you see a gift basket that has been shrink wrapped it is with the use of PVC domed shrink bags. Below is a short list of products that often use shrink bags for packaging. Obviously these are not all of the uses for shrink bags, but some of the more common uses. Shrink wrap bags offer several benefits, two specific benefits are extremely helpful to appearance and efficiency. Shrink wrap bags only have one open end and only need one side sealed. For larger operations with fully automatic machines this is not an issue. For smaller operations with only an I-bar sealer, this means much much more efficient packaging. With a normal centerfold PVC or polyolefin shrink film three sides must be sealed. L-Bar sealers are made for this and work great, but small operations often can not afford L-Bar sealers. The less expensive I-Bar sealers work great, but you can only seal one side at a time. This is why we almost always try to get smaller start-up operations fit to a shrink bag. Bags help with less frustration and time spent making seals. Once you find the right size of bag for your product, they offer a consistent fit every time. This helps to increase the packaging appeal to your products and allows a tighter and more uniform fit. A great option to have and consider when packaging products of the same size. As mentioned above, there are several other benefits that shrink bags have to offer. The two we specified are the most common reasons for users to consider using shrink bags. As mentioned above, PVC shrink wrap bags have been the most commonly used shrink bags for years. One large drawback they have is not being able to come into direct contact with consumable products. If the PVC bags are used to package a consumable product, another form of primary packaging must be used. Polyolefin shrink bags are becoming more and more popular. They offer some advantages over PVC bags. The main advantage they offer is the ability to come into direct contact with consumable products. Many bakeries and confectioners have waited for years for a polyolefin shrink bag to wrap consumable products in. The polyolefin shrink film has a different consistency than PVC film. It is a softer more pliable film. Because it does not contain chloride, it also puts off less odor when sealing and applying heat. Both types of shrink bags are affordable compared to many other packaging applications. The exact cost depends on the size and quantity ordered. The PVC shrink wrap bags are always less expensive than the Polyolefin bags. To offer an idea of the cost and cost difference between the two, below are the cost of a couple of sizes. The price is for a case containing 500 bags.